There’s something charming about exploring antique stores. Make a day out of shopping at the various antique shops near Route 6A in Cape Cod. Glance over glass cases of vintage costume jewelry, walls studded with Baroque-inspired works of art, and shelves lined with various forms of limited-edition wares. Admire natural light as it beams through stained glass and glistens off of brass statues and colorful Depression glass. Thumb through vinyl records and first-edition books. 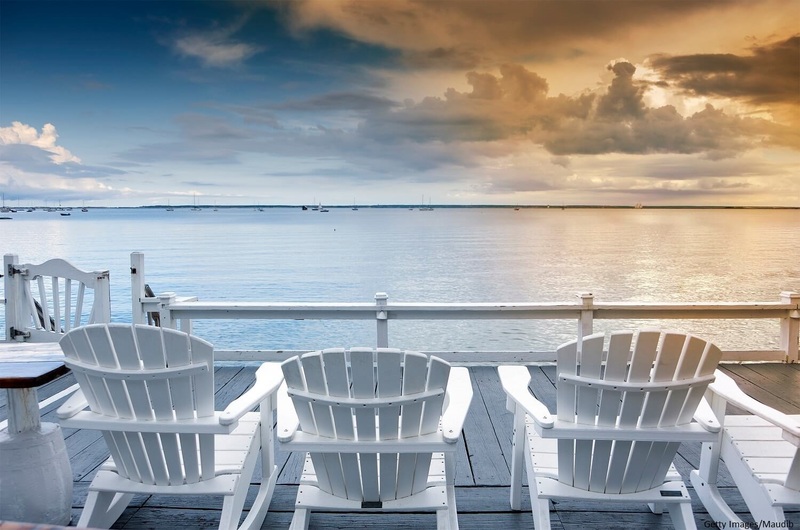 Of all the amazing things to see and do on the Cape, venturing through various showrooms, galleries, and shops is a favorite local activity. 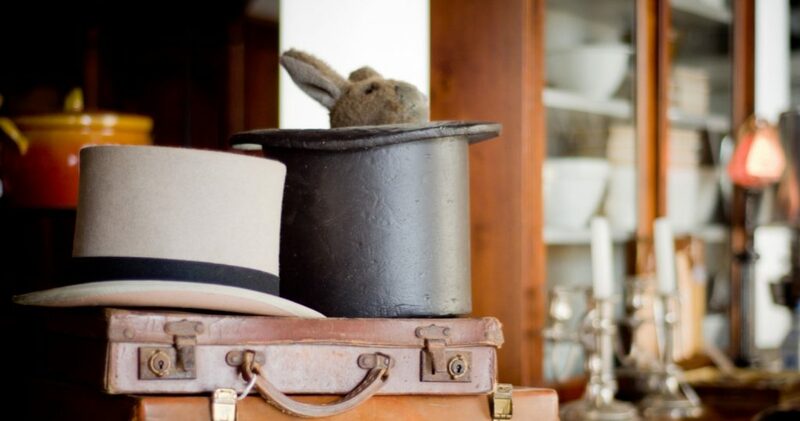 Continue reading our antiquing guide to lead you to your next treasure. Explore 5,000 square feet of antiques, collectibles, and more at Sandwich Antiques Center. If you’re in the market for new-to-you furniture, fine art, or antique jewelry, this reputable establishment boasts an impressive collection for you to choose from. Talented woodworkers at West Barnstable Tables craft heirloom-quality furniture. 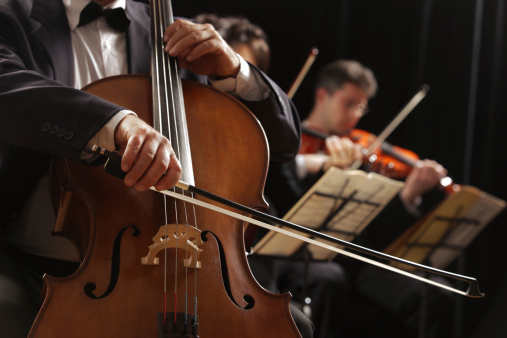 They use antique woods such as Northern red pine, American chestnut, and oak. These phenomenal pieces range in style from quirky folk art to refined, rustic elegance. Peruse antique goods, unique furniture, and miscellaneous knick-knacks at Treasures of Cape Cod. Find the perfect souvenir to bring home from your New England vacation or splurge on your dream decorative iron bed frame. Wander through the Antiques Center of Yarmouth. You’ll encounter treasures ranging from classic records on vinyl to mid-20th-century decor that will set your house apart from any other. Maybe you’re in search of Art Deco lamps or limited-edition woodcuts. If so, you’re bound to find the perfect prize. Step through the doors of this restored 18th-century building. Wind through halls decked with 18th and 19th-century furnishings. From oriental rugs to beautiful antique accessories, there’s no shortage of rare finds at West Dennis Antiques. 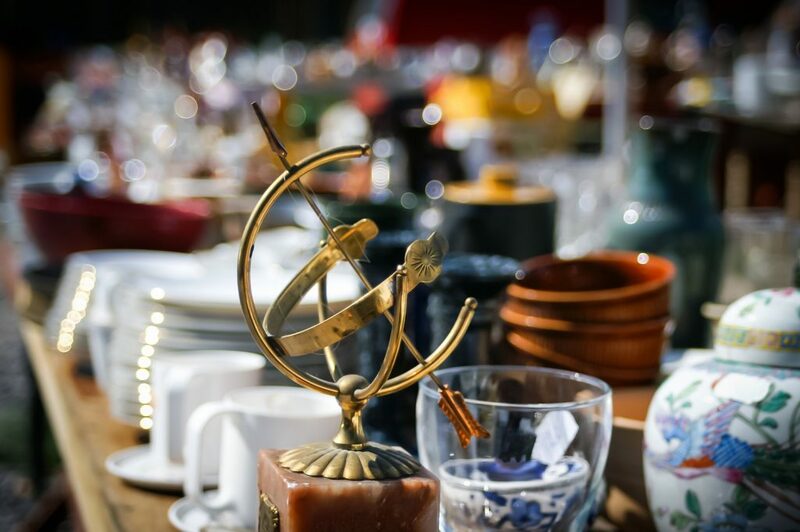 Whether you’re hunting for depression glass, China ephemera, collectible dolls, or more, the Antiques Center of Cape Cod is a great starting place. Peculiar paintings and ornate furniture stand out among a sea of wares in this massive showroom. From eccentric maritime memorabilia to highly coveted baseball cards, the Harwich Antiques Center features an array of booths that boast rare finds and everything “old, odd, and cool.” With one-of-a-kind merchandise from the American Renaissance Revival and the Edwardian Era, you’ll return home with something new to cherish. Windsong Antiques sells a myriad of early American and English-blown glass, pattern glass, art glass, stained glass, and cut glass as well as Staffordshire English ceramics, collectible coins, and more. Display a glimpse of the past when you hang a framed antique map on your wall. At Maps of Antiquity, browse rare maps created when mapmaking was considered an art. Often bordered by scenes of sea monsters, massive ships, and more, these maps will intellectually adorn your home. Embellish your home with ornate French country antiques and floral decor found at Wisteria Antiques. Admire vintage Venetian glass, Victorian-style mirrors, hand-painted porcelain, and gorgeous costume jewelry along the halls of this unique establishment. At Wayne’s Antiques, you’ll encounter antique objects hanging from the ceiling, lining the walls, and filling every glass case in the building. 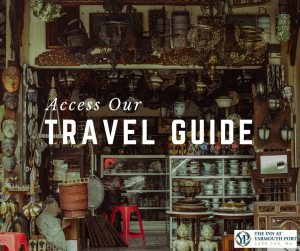 From embellished brass statues and hand-painted parasols to meticulously framed original works of art, chances are you won’t leave without finding at least one must-have item. End your treasure hunt at the Parnassus Book Service which is steps away from our Inn. Thumb through the pages of antique books. Browse the selection of first editions, Edward Gorey collections, and niche local writings! Literature lovers enjoy the charming atmosphere of this quaint shop! 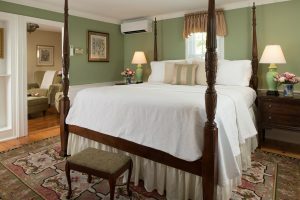 After perusing all the antique shops near Route 6A in Cape Cod, end your shopping day at the historic Inn at Yarmouth Port. Our inn previously belonged to a 19th-century captain, and many of the original architectural aspects remain intact. The maritime history that permeates the Cultural Cape resounds throughout our seaside towns and through our halls. 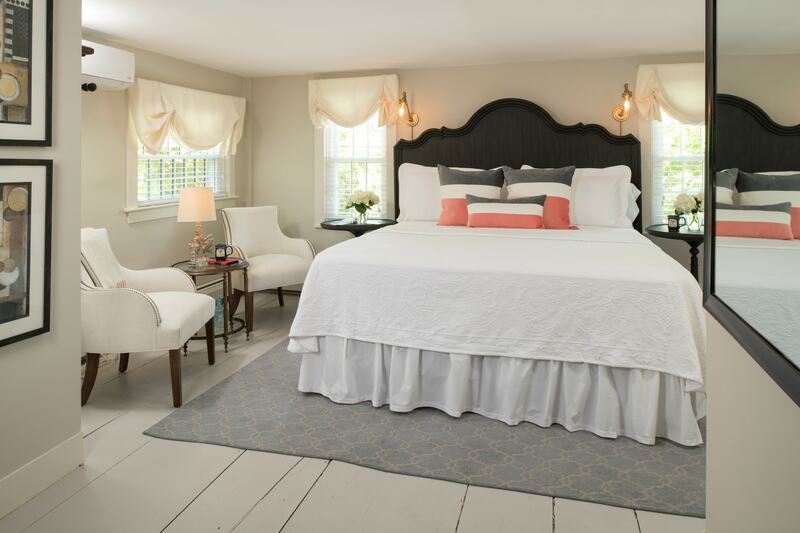 Our Wellfleet Room makes the perfect backdrop for your New England getaway. With botanical themes and antique-inspired decor, you’ll feel relaxed and renewed after a night’s rest.